New trackers frequently make the mistake of forming hasty decisions or identifications and then they try to defend it in spite of additional conflicting information. A better way might be to look at the track and to think about what you are observing while applying a series of tests or questions that would lead one to a more informed opinion.  Initial things to consider would certainly include looking at the general size and shape of the track, considering the width of the trail, counting the digits, considering the habitat and thinking about the gait or pattern of the tracks if that information is available. From here on it gets more interesting. 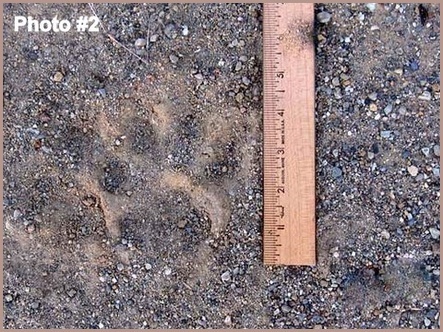 Recently Orange County Trackers received these two photos and were asked to form an opinion. 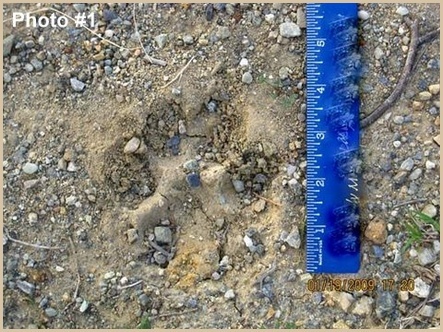 The only thing we knew about the tracks was that they were discovered on the same day and were found in a coastal wilderness area where Mountain Lions have long been suspected by local residents. We know that many different wild and domestic animals frequent this area but we did not know if the two tracks were related in anyway.  The point of this exercise is to help you to look at each track analytically and prevent you from jumping to conclusions. Only after you have objectively evaluated all of the data available should you begin to form an opinion.